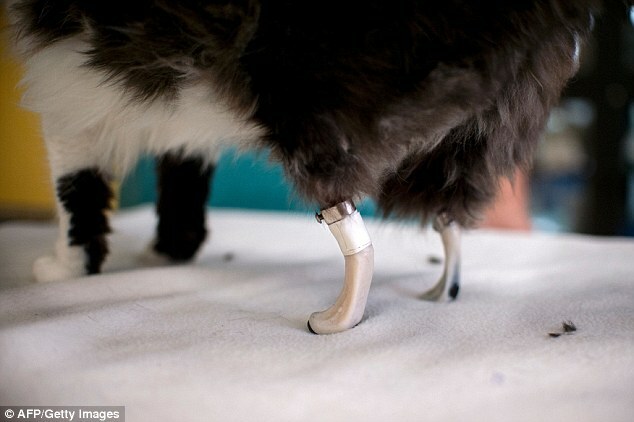 Two stray cats who lost their hind legs in accidents are back on the prowl after they were given bionic paws. One-year-old Pooh and eight-month-old Steven are on the mend after being hit by a car or a train in Bulgaria. They air are now chasing mice around their vet's office, but the pitter-patter of paws on the floor has been replaced by the ticking and tocking of the plastic legs. Veterinary surgeon Vladislav Zlatinov performed the operations - the first of their kind in Europe outside of the UK. 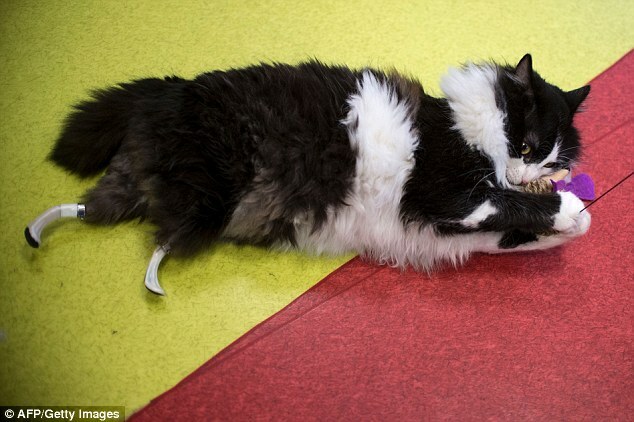 One-year-old Pooh, whose name means 'fluff' in Bulgarian, is thought to have been hit by a train or a car in April last year. 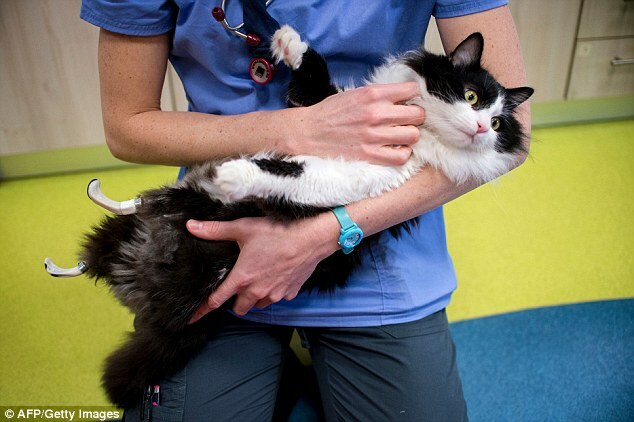 He is the first vet in Europe to successfully apply the pioneering method of Irish neuro-orthopaedic surgeon Noel Fitzpatrick, who shot to fame in 2009 when making Oscar the first bionic cat by fitting him with new hind legs in Britain. If all goes well, Pooh's skin will eventually grow over the bone and stem tightly enough to prevent infections, Zlatinov said. Pooh and Steven were brought to the clinic by animal charity Let's Adopt Bulgaria, which paid for the operations. 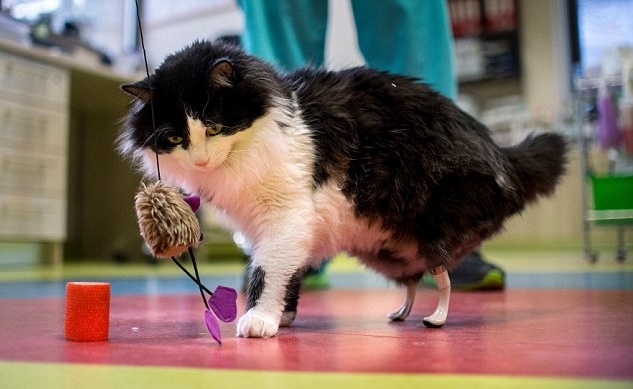 Responses to "Paw-fect rescue: Two stray Bulgarian cats get bionic legs"